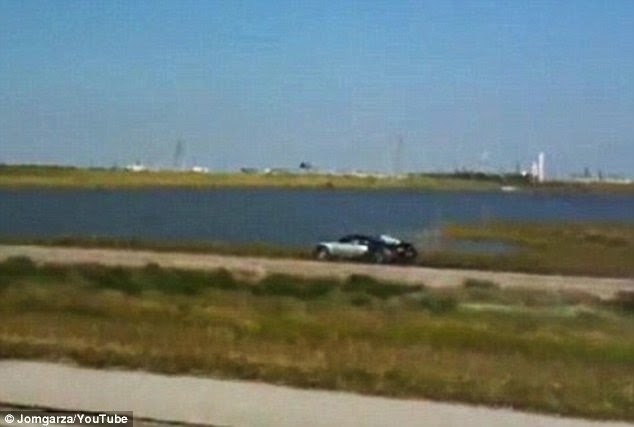 A driver has admitted to deliberately crashing his rare $1 million Bugatti into an East Texas swamp so that he could collect a $2.2 million insurance payout on the vehicle. Andy Lee House, a 39-year-old car dealer from Lufkin, Texas, pleaded guilty to wire mail fraud on Tuesday and faces up to 20 years in a federal prison when he is sentenced. After the accident in November 2009, House claimed he had been reaching for his cell phone when he looked up and saw a pelican, causing his 2006 Bugatti Veryon to swerve off the road. 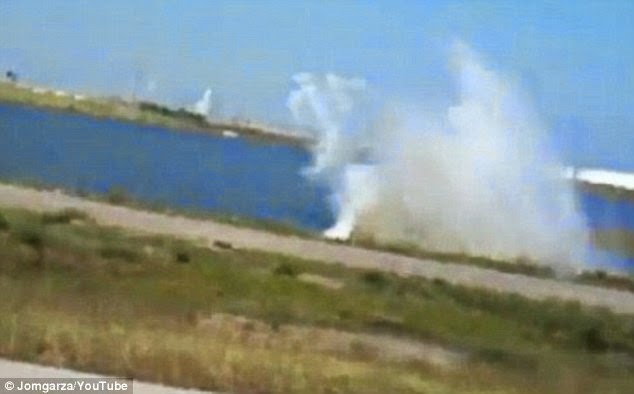 He crashed into La Marque Lagoon near Galveston and left on the engine, filling it with salt water and destroying the vehicle, the Lufkin Daily News reported. But he was unaware that a passing motorist had admired the vehicle and whipped out his phone to record it. The man captured the car as it went off the road and into the three-feet of water. The footage, which the motorist posted to YouTube, allowed investigators to note discrepancies in House's account, they said. House was then hit with a lawsuit from his Philadelphia insurers who claimed that he was committing fraud because there is no pelican visible in the video. Authorities say House had bought the 2006 Bugatti Veryon - one of the fastest vehicles in the world - with a $1 million interest-free loan from a friend and then bought insurance on it as a collector's vehicle, valuing it at more than $2 million.